Markets around the world today boast of Chinese goods. 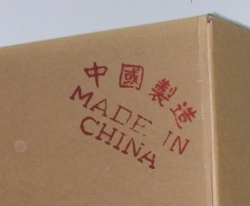 The bulk of electronic equipment - laptops, television sets, cell phones, pen-drives, toys and clocks - carry the “Made in China” tag. All over the world, Chinese companies are securing contracts for the construction of bridges, setting up of telephone exchanges, generation of electricity and infrastructure in general. 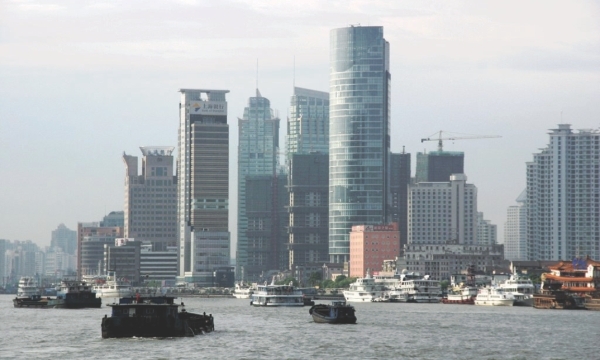 Over the past two decades, the Chinese economy is moving ahead on the fast track. The country's growth-rate has exceeded the 14 percent mark. In terms of gross domestic product (GDP), however, the rate of growth has been more than 10 percent in the last decade. Ironically enough, this fast-track growth has turned out to be a major problem for the Chinese economy, and a source of worry for policymakers. In the past, the country had a centrally-planned economy, driven by public sector enterprises. At present, it is increasingly under the influence of market forces. Despite the Chinese government's effective control over the economy, the market is the driving force. Recently, the International Monetary Fund (IMF) reduced the estimates of China's GDP growth rate to 8 percent. For India, the IMF has reduced its estimates to 6.1 percent. Whereas the rate of growth has been rallying between zero and three percent in the developed countries, the economies of India and China have been growing at rates that range from 7 to 10 percent. This has not only increased global production, but has enhanced the clout of these nations internationally. The Chinese economy today ranks second in the world - next to America - in terms of economic power. A US intelligence agency places the Indian economy in the third position in terms of GDP and the purchasing power parity. If the Chinese economy continues to grow at the present rate, it may surpass that of America by 2025. However, China has been passing through economic recession for the past one year. According to the official estimates released in China, the growth rate has been 7.6 percent in the second quarter of 2012 (April to June 2012). And this rate has been declining during the last six quarters. The IMF, therefore, has reduced the estimates of China's GDP growth to 8 percent; the government has lowered its estimates even further to 7.5 percent. In a market-based capitalist economy, it is imperative to create additional capacity and produce new products. This is necessary in order to maintain a grip over the market and sustain demand whether external or domestic. However, should the demand decline for whatever reason, the problem of excess capacity will crop up. China is grappling with a lack of overseas demand due to global recession. The USA is yet to overcome the impact of the 2008 recession. The European Union is facing its worst-ever economic crisis. Greece is reeling under a severe sovereign crisis. Italy, Portugal, and Spain are also grappling with economic problems. The cohesion of the European Union is under threat and fears that the entity might disintegrate are substantial. The governments of these countries are under severe pressure to reduce expenditure. A fall in income levels has resulted in a fall in demand. The Chinese economy, which depends primarily on external demand, has been contending with a decline in export. Chinese policymakers speak of a silver lining in this demand recession as it may ease inflationary pressure, which in turn may help increase domestic demand. However, there are other issues which would be difficult to address. Notably, the decline in foreign investment despite the fact that the country is an attractive destination for foreign direct investment (FDI). Foreign investment declined by three percent last year. Restrictions on owning a second home in China appear to have affected foreign investment in real estate. Economists generally are not convinced with the data advanced by the Chinese government. They examine the facts and figures with caution and try to use other proxy indicators to assess the situation. Some economists believe that China's growth rate may be lower than the official figures. Their estimates are based on electricity production, rail transport and building activities. In May this year, Chinese exports were down by 11 percent and imports by 6 percent. The Chinese economy suffers from structural weaknesses. Development has been based on infrastructure investment and not on exports. The country's highways are second in the world, next only to the USA. However, these activities cannot go on indefinitely and there has, of late, been a significant slowdown. Industrial development also depends on large-scale migration of labour from rural areas. Approximately 150 million to 200 million people from the rural areas have migrated to urban centres over the past two decades. This supply of labour has helped industrial development. According to an estimate, merely 1.5 crore people are unemployed in rural areas, and they could well relocate to the cities. The "one child norm" adopted by the Chinese government has served to reduce the labour force and the number of senior citizens is on the rise. There are 120 million people above 60. Consumerism alone explains why Chinese households have been borrowing heavily; even the companies are under huge debt. Under these circumstances, it would be difficult to increase the demand by raising the quantum of credit. Though the monetary policy has been relaxed over the past year, there has been no marked increase in borrowings and credit. The country's per capita income is US$5,000. This has increased the cost of living and the cost of production as well. There are many countries with low per capita income and they are in a position to compete with the Chinese economy, using the strategy of an export-based economy. The Chinese economic model is excessively controlled. Its policymakers believe that the growth rate can yet be increased. However, recent developments have disproved this claim. The Chinese economy, affected by global upheavals, has in fact started receding. The writer is Associate Professor, Department of Economics, PGDAV College, University of Delhi.